Choosing the right sauna heater can be a confusing business. First, you have to think about how much heat you need to produce to get your sauna up to temperature, consider how the heater will fit into the space available, and pick a heater that compliments the interior design of your sauna. 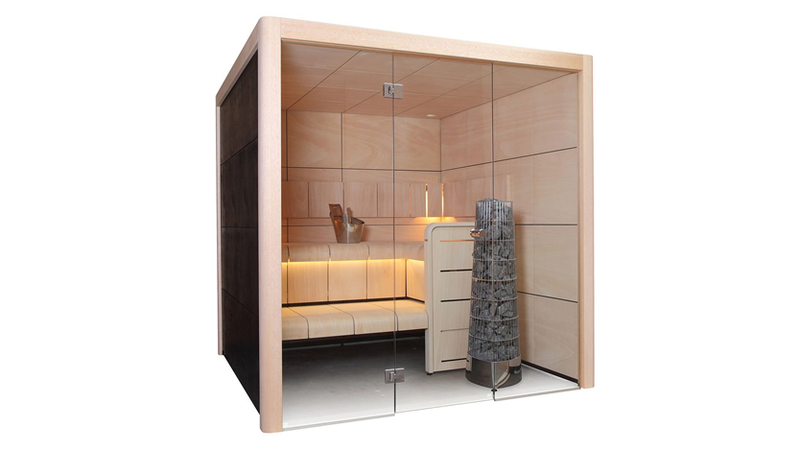 With the help of our expert advice, you will find it easy to get over these initial hurdles and we can then help you think about what else you can do to make the most of your new sauna. 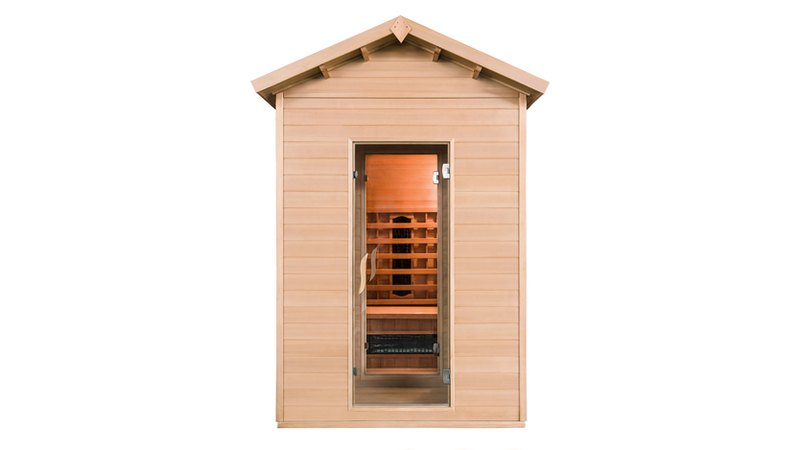 For example, a 'Combi' sauna heater gives you much more functionality, it has a built in steamer unit separate from the main sauna heater which allows you to accurately adjust the amount of steam and humidity in the room and introduce fragrance and aromas to enhance your sauna experience. If you are torn between buying a sauna or a steam room, this may be the perfect compromise to get the best of both worlds! 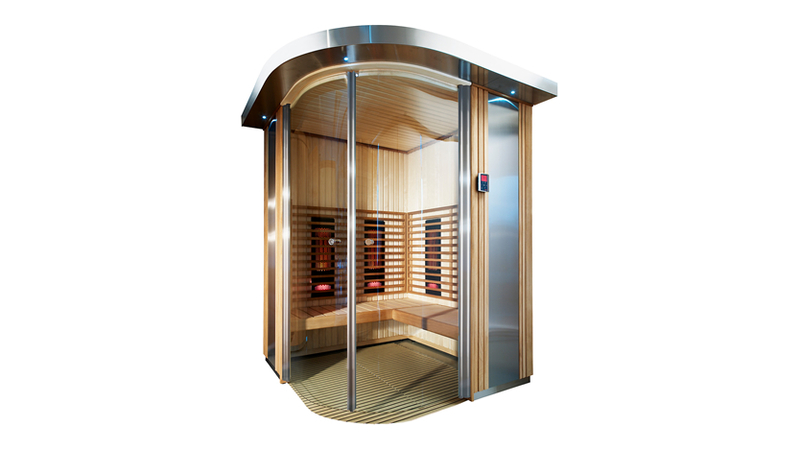 Combi heaters can act as a traditional Finnish sauna, steam sauna, Herbal sauna or as a fragrant sauna all with one heater! Combi heaters have the same elegant design as a normal sauna heater and to the untrained eye, it can be hard to tell them apart. 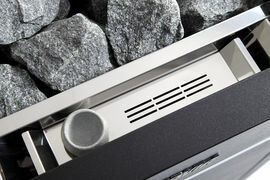 The telltale sign of a combi sauna heater is a small steam grate next to the sauna stones, this is where the steam emanates from and is the perfect place to position a pouch of aromatic herbal sauna essence. Another big giveaway is a soapstone bowl positioned on the grate which is designed to hold liquid fragrances. All combi sauna heaters have an internal water tank, some combi sauna heaters can be automatically filled by a pipe connected to your water supply and some models are filled manually which is helpful if there are no cold water feeds nearby. Aqualine offers the largest range of Combi Sauna Heaters in the UK and our helpful sauna experts will be only too happy to talk you through the range to find you the perfect model.